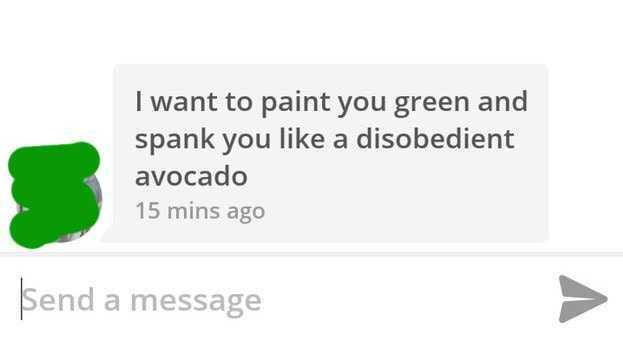 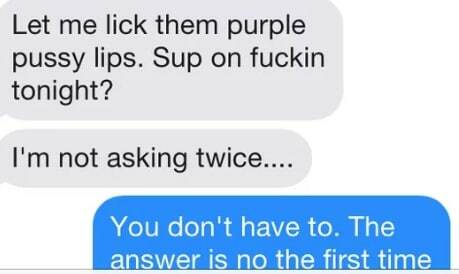 21 Creepy Messages From Dudes That Prove Being a Woman on Tinder Is The Actual Worst. 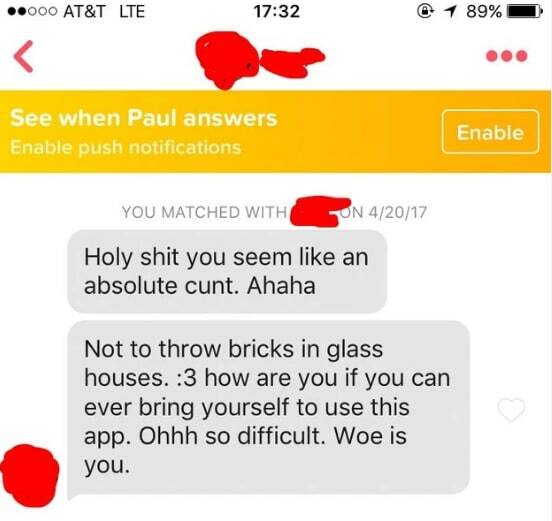 I can't even imagine trying to navigate Tinder as a woman. 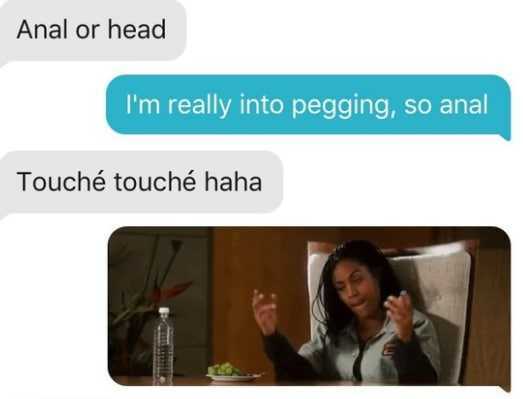 It's f**ked up enough as a man. 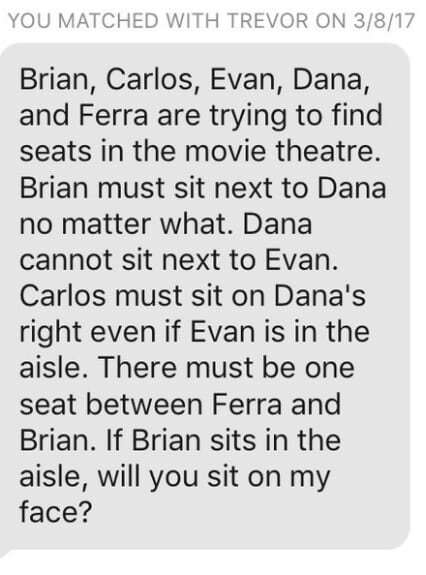 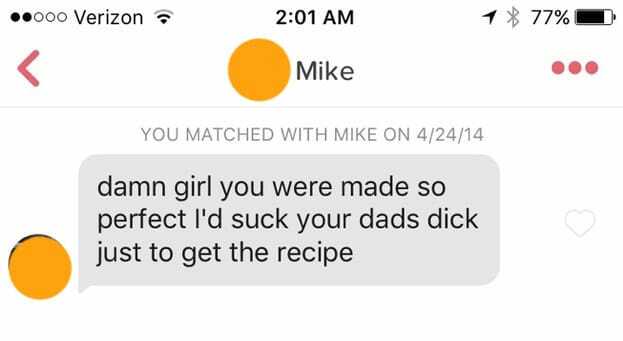 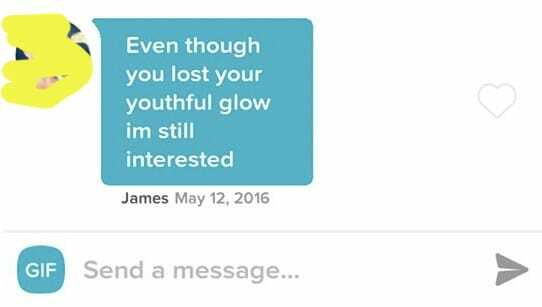 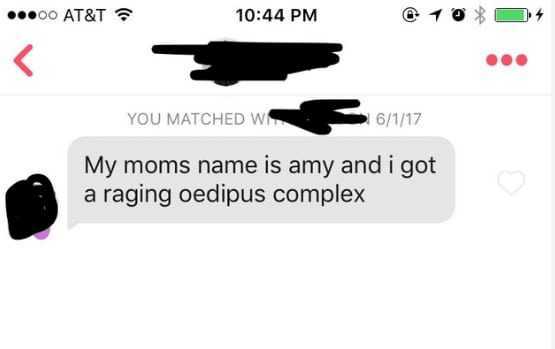 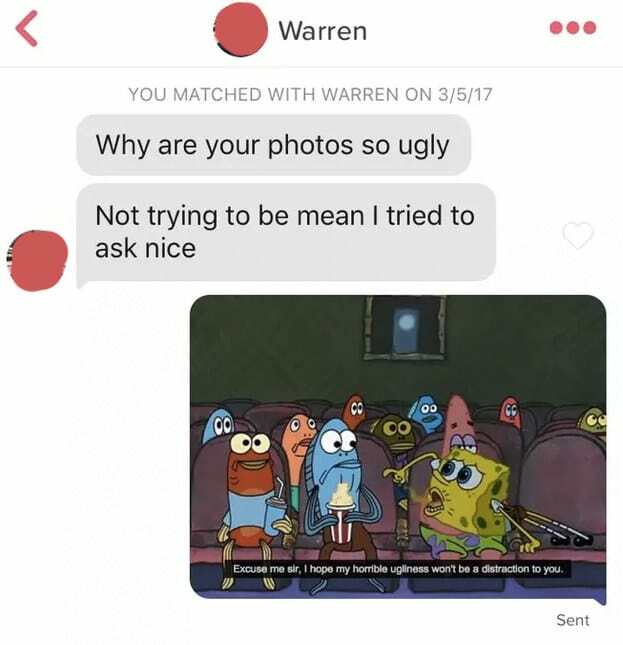 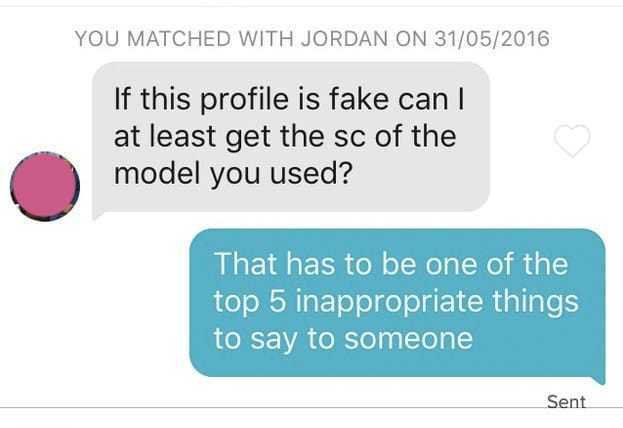 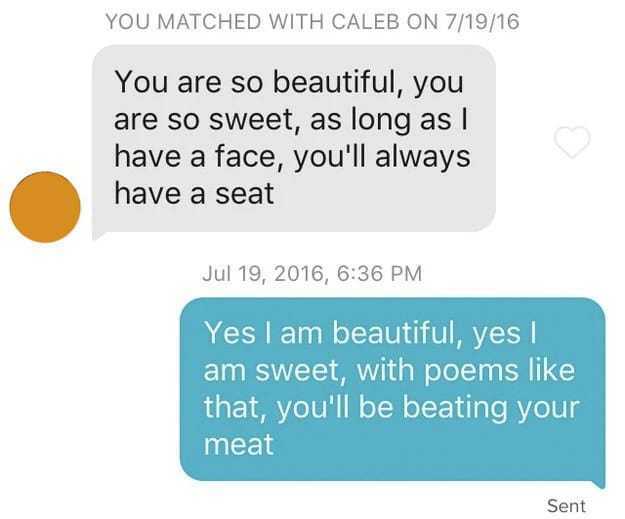 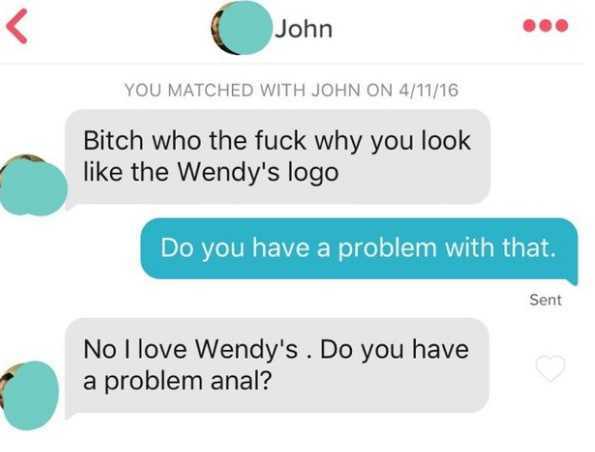 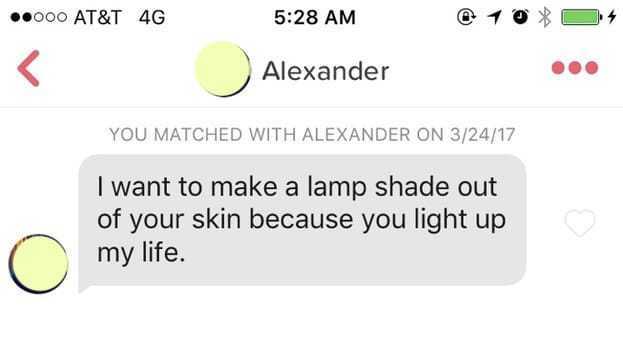 Recently our friends at BF asked their community to send them the grossest Tinder messages they'd ever received, and, wow, the results were...just wow. 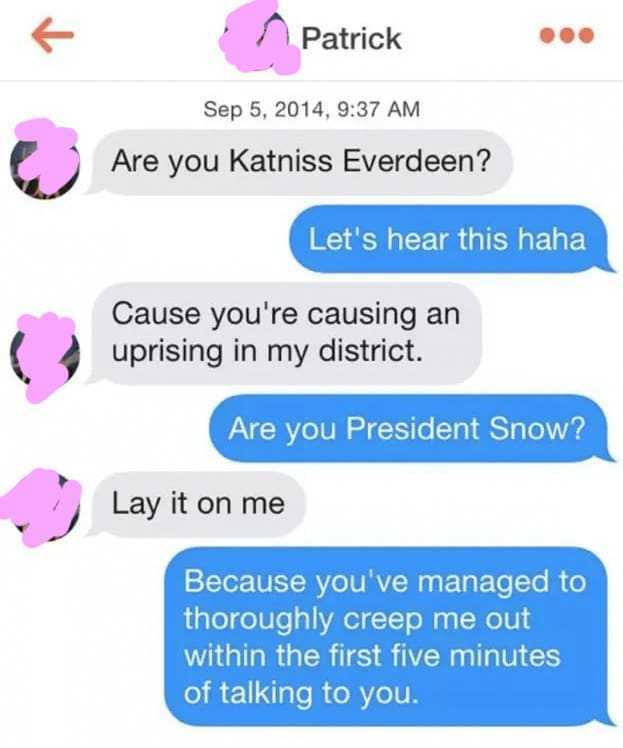 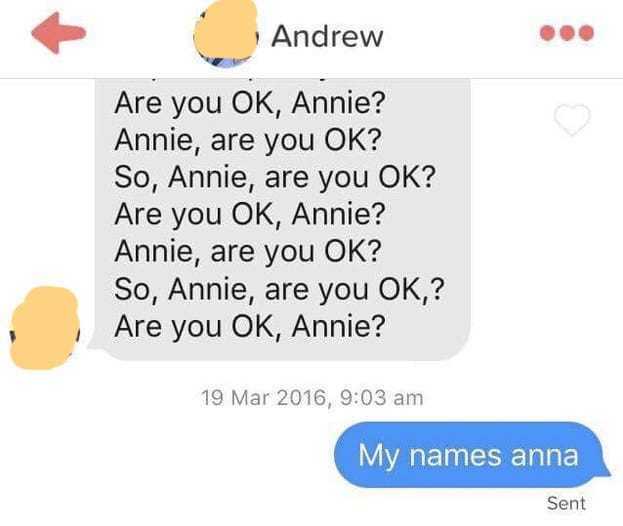 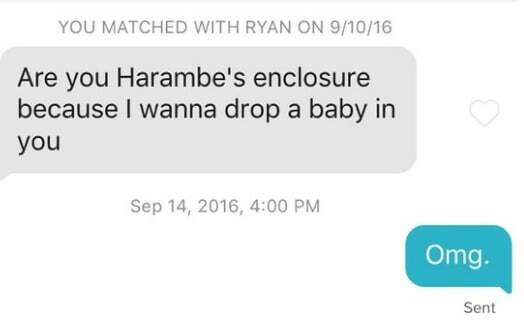 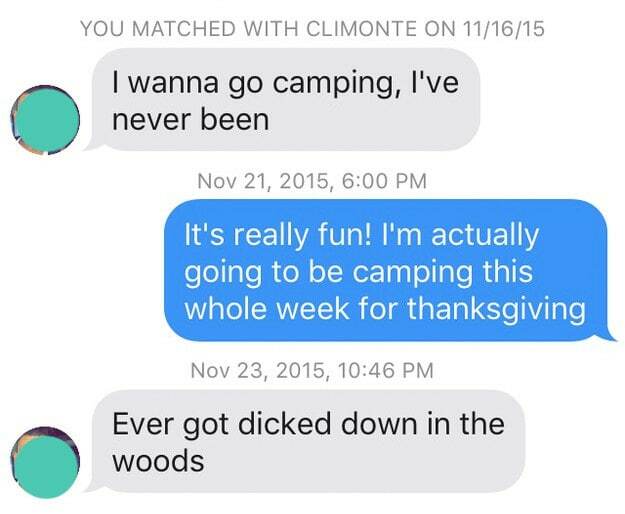 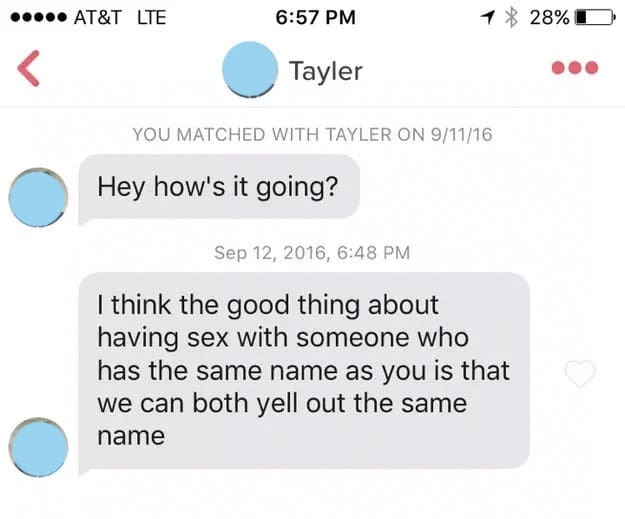 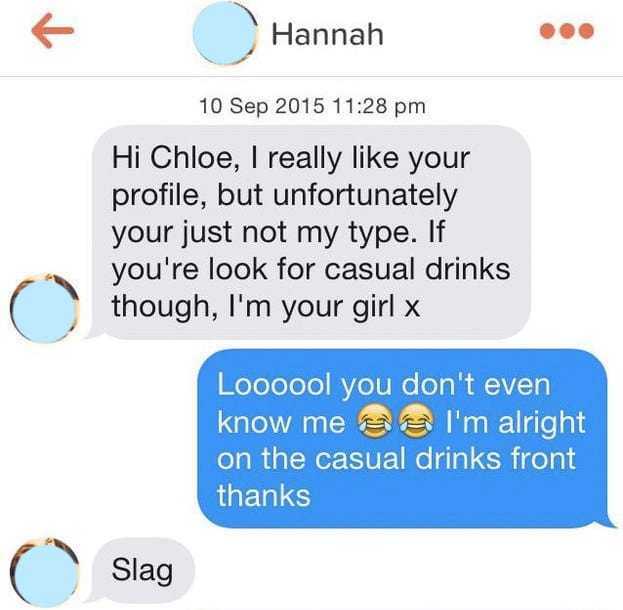 25 Tinder pickup lines no one would have the balls to say in real life.